Can U Cook? is the title track of Seasick Steve’s forthcoming 9th studio album and was released as a debut single on August 15th on BMG. Can U Cook? 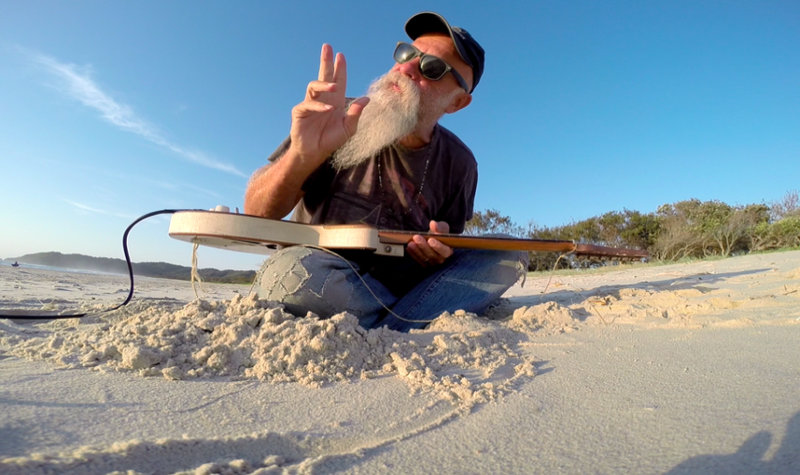 sees Steve serve up wise relationship advice with dirty guitars, big drums and a growling vocal in an infectious and electrifying Seasick Steve groove. Can U Cook? had its first UK play courtesy of Chris Evans on his Radio 2 Breakfast Show on August 14th, and is available now to stream and as an instant grat with an album pre-order. Chatting to Evans from a truck stop on the Italian coast after driving overnight from a gig in Austria, (“I'm awake and I'm above ground!”) Steve said Can U Cook? “…was made on a one string washboard guitar that I hooked a banjo neck onto, an’ I hope you like it”. The album was produced and written by Steve and was mostly recorded in a converted ice house on the dock in Key West, Florida with his longtime drummer Dan Magnusson a.k.a. Crazy Dan (“the guy’s dangerous but he's a nice fella, he’s just a little bit loopy”) and guitarist Luther Dickinson of The North Mississippi Allstars, and ex of The Black Crowes (“…the greatest living slide guitar player … he’s crazy too, he fits right in”). Released on September 28th, the new album sees Steve mixing up all of his much-loved ingredients to deliver a fresh new record that’s full of sunshine as well as being a good ol' Seasick mix of boogie, blues, rock, Americana and folk music. Can U Cook? is available on CD, standard and limited edition clear vinyl, and all streaming and digital platforms, and physical pre-order is available now at www.seasicksteve.com. Steve is staying on the road to play Can U Cook? live on an extensive European tour in October and will return to the UK in November for his first full headline UK tour since 2015. Steve’s last headline show in 2016 was at The SSE Arena, Wembley.